ATD Piedmont - Eye Candy for the Brain....How to Make Infographics FAST!! 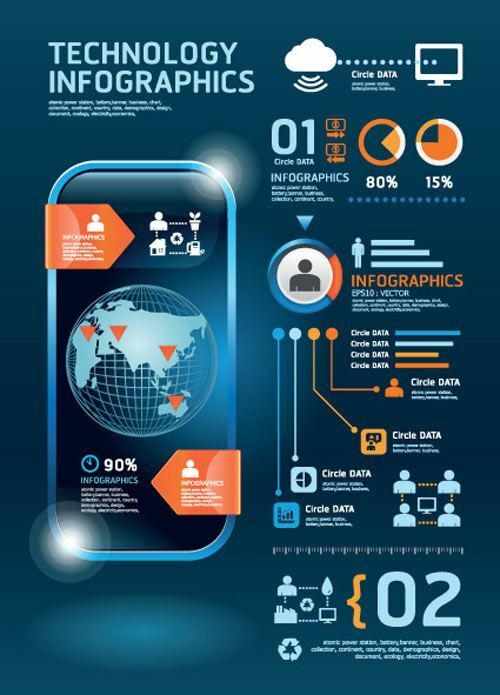 Eye Candy for the Brain....How to Make Infographics FAST!! Not a member? We'd still love to have you attend our event. Consider joining today and save! Members received discounted pricing on all ATD Piedmont events. Infographics, when done correctly, quickly improve knowledge, skills, and abilities in the workplace by increasing understanding, recollection and adoption levels for those being educated. Learn how to quickly turn ideas, words and data into clear, compelling infographics that make complex information accessible.Fancy software is not needed. Discover how to use PowerPoint and other common graphic software you have to make professional infographics. Get practical tips, techniques and tools (e.g., Graphic Cheat Sheet) to speed up development. Walk away with secrets to improve your educational materials and their impact immediately. Discover the latest trends and the underlying psychology that supports using infographics in learning, and be ready to apply the techniques on your next project. The speaker, Mike Parkinson, is an internationally recognized visual communication expert, professional speaker and trainer, and a multi-published, award-winning author. He regularly contributes articles and conducts visual communication training seminars to companies like Microsoft, Xerox, Dell, and Lockheed Martin as well as at learning institutions and organizations. Over the last 22 years, Mike has spearheaded over one thousand successful projects and created thousands of graphics for presentations, proposals, white papers, websites, and training materials that resulted in improved success rates and revenue for his clients. Mike owns a design firm, 24 Hour Company (24hrco.com), authored a successful visual communication book (Do-It-Yourself Billion Dollar Graphics), and recently sold Get My Graphic (GetMyGraphic.com) to a learning institution.